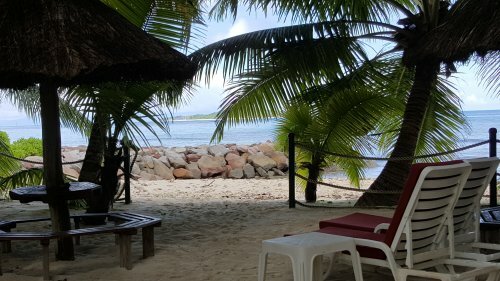 This very charming self catering is located on the North West Coast of Praslin Island on Anse Kerlan Beach only 2 kilometres from the airport and 13 km from the jetty Bay St Anne where the cat coco arrives or cat rose boats from Mahe or Praslin. 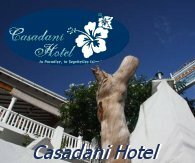 This very nice self catering is well managed with a splendid situation. 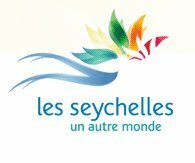 The management is private Seychellois and the architecture of the chalets is typically Seychellois also. 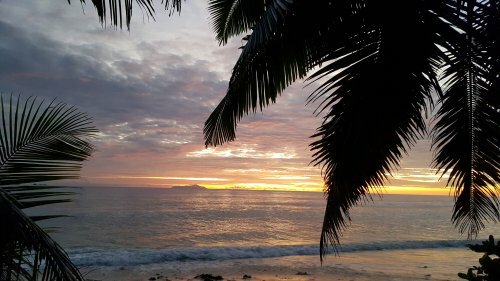 Anse Kerlan Beach Chalets is a small self catering located in the North West of Praslin Island and settle directly on the nice sandy beach of Anse Kerlan. 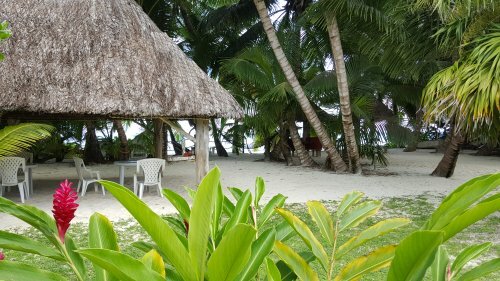 The chalets have their private veranda and are sea view or garden view and they all provide air conditioned and ceiling fan. They have their own bathroom with shower, toilets, bidet and hair dryer. Safe box. A TV is also available in the room. The kitchen is fully equipped with all utensils and there is also a microwave and a fridge. Nice dining room. 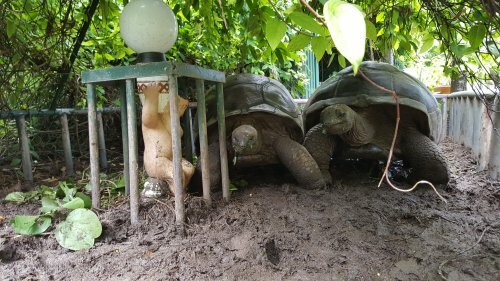 The situation is very nice and sometime some turtles come on the beach. Nice tropical garden. 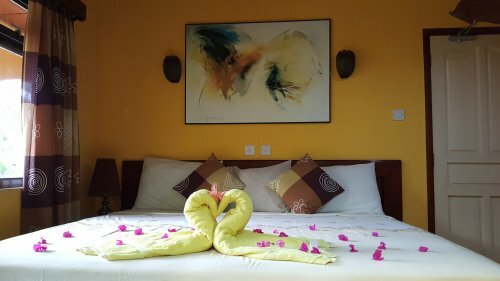 Anse Kerlan Beach Chalets is next to the Golf court and offer 1 apartment sea view : 80sqm 1 double bed + 1 sofa bed and 1 50sqm apartment garden view with one large bed. 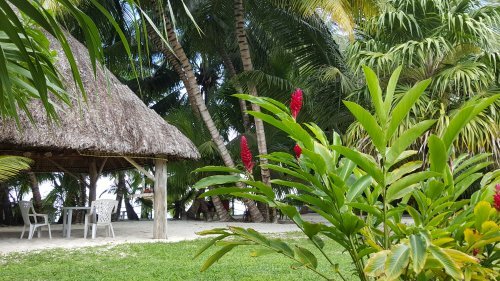 Each chalet comprise with a creole style Veranda where you can enjoy our garden and also the Beach View, an open sitting room fully furnished and comfortable, a small dining room, a fully equipped Kitchen. 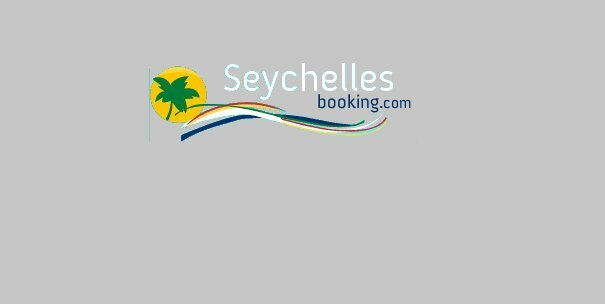 In case of cancellation fees will be billed directly by the following supplier:"Anse Kerlan Beach Chalets".